Yesterday, Bishop John urged us to take up something new this Lent. 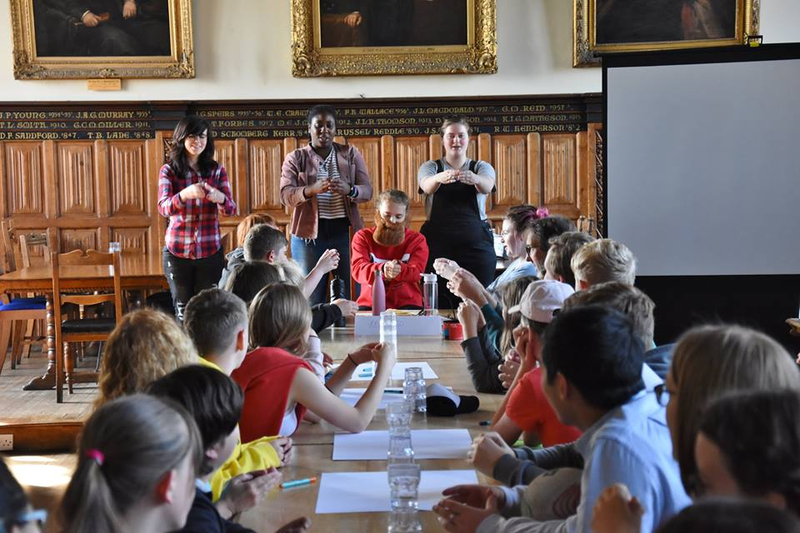 This year, we’re trying something new and we’d love you to join us as we explore new and different ways of deepening our personal devotions and play with the relationship between faith and the arts. 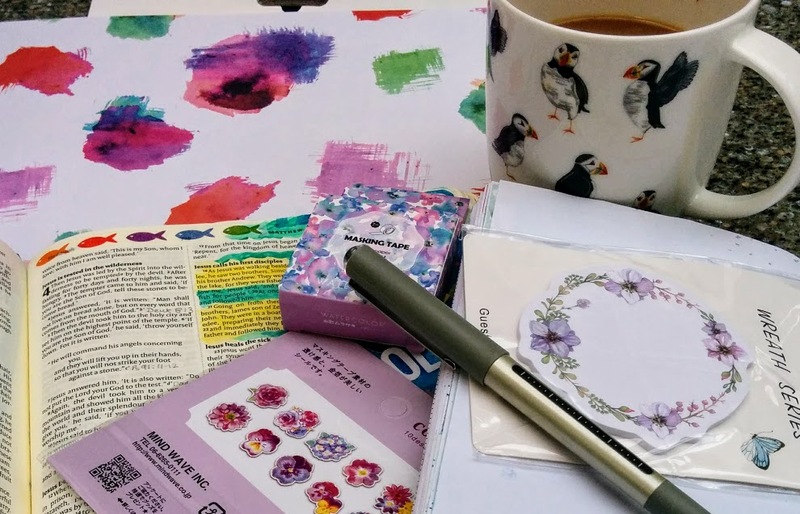 We’re working with Jane MacLaren to bring you an online Lent group, looking at the traditional Lent Gospels through the format of Bible journalling. Jane is a non-stipendiary priest in our diocese and has a passion for helping people explore their relationship with God through this technique. What is Bible journalling, you ask? So did we. It’s a creative, meditative and accessible way to study and explore your response to the Bible, and to what God is saying to you in your quiet times (or the less quiet times of your life!). 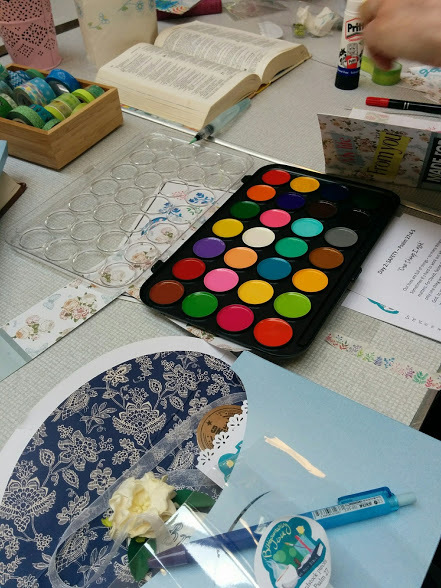 It encourages you to play with colour and visual imagery as a way of deepening your relationship with God, so it’s quite different from a purely word-based Bible study or prayer session. 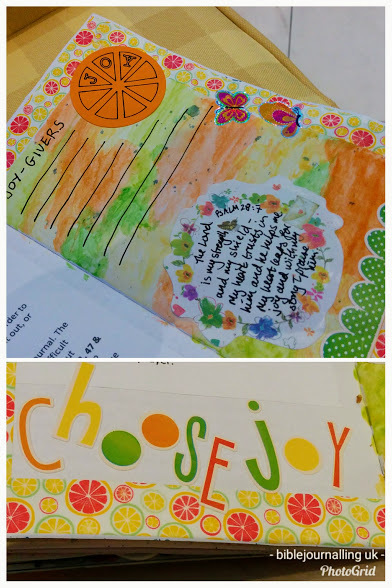 Bible journalling is not about ending up with a great piece of art! Rather, it is an opportunity to play, explore and enjoy some quiet creativity with our Creator, so that through this process you can meet God in new ways. It’s about discovering what God is saying to you at the moment, and what you want to say to God. What will our little online Lent course involve? Each week throughout Lent, Jane will be sharing a reflection on the Gospel reading from the Lectionary. She’ll include notes and prompts for contemplation, and suggest different techniques you might like to try as you build your journal. We have a closed Facebook group so you can share responses and experiences, both through discussion in the comments and by sharing photos of your pages. We hope you’ll feel able to connect with the others in the group as if you were meeting ‘in real life’, so this is perfect for those folk who can’t get to more traditional Lent group, or who would like to connect with people in the wider Diocese. You needn’t be particularly artistic or creative – just willing to explore, play and see what comes out of the process for you. How do I join this Bible journalling Lent course? We’re deliberately making this as accessible as possible – no need to travel, no need to be restricted to a specific time, no need to buy anything, no need to share in the group if you don’t want to. You can simply follow along by visiting the website each week (sign up to get an email reminder here), reading and reflecting. Get your kids to join in, working on their own journal. 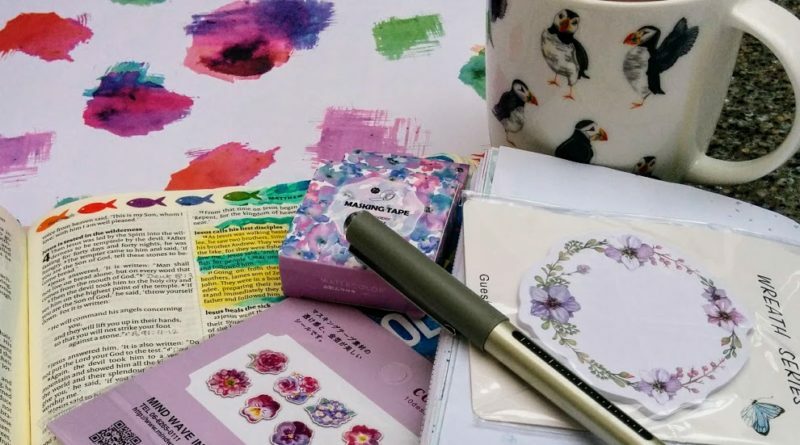 Things to make your pages pretty – washi tape, colours, charcoal, stickers, paint, glitter, old magazines etc – whatever appeals to you, or happens to be lying around. The most mundane of items can be used to create something visually interesting. If you prefer, you can order a ready-made kit from Jane for £25. 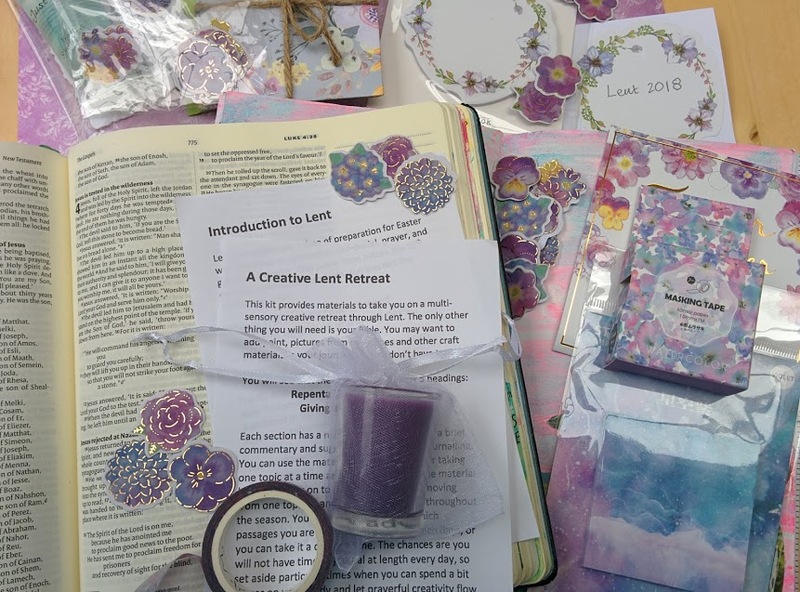 They include Bible references, notes, and creative journalling prompts that complement these blog posts, along with a journal for you to personalise, co-ordinating materials to decorate your pages, multi-sensory prayer prompts, and hand-made packaging. While you’re there, follow our new account too! Spread the word and get others to join in too. We’ll create a list of posts here as they are published, so if you want to bookmark this page you’ll find it easy to come back to.